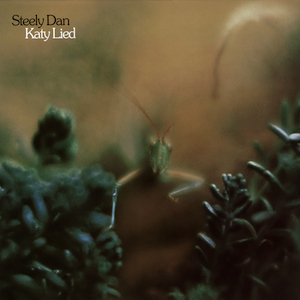 Listen to this track of jazz-rock pseuds Steely Dan their 1975 song “Black Friday” from the album Katy Lied . The song was a single from that record (along with another, “Bad Sneakers”) that was a part of a new approach to making music after the group as it stood had disbanded. The “band” was replaced in favour of singer-keyboardist Donald Fagen’s and bassist-guitarist Walter Becker’s preference to become a studio-bound unit, employing crack west coast session musicians to play a good chunk of the parts. I’m being a bit cheeky here of course with the whole “Black Friday” thing. In addition to this song, Black Friday as a popular term of course refers to one of the busiest shopping days on the American calendar, with a single day’s sales putting sellers ‘into the black’. Well, that’s the theory. Black Friday is the Friday after American Thanksgiving, and a sort of kick off to the Christmas shopping season too. Our Canadian Thanksgiving is in early October, in line with the liturgical calendar of the Anglican Church of Canada, so we tend to space out the chaos a little more. Anyway, I’m not sure there’s ever been a song in rock history about a chaotic shopping day. But this one by the ‘Dan is also refers to economics and greed, documenting another Black Friday – this one in 1869, when the private investors manipulated the price of gold was manipulated in a bid to corner the market by buying it up in large quantities. The US government found out and flooded the market with supply, driving down the costs and curbing the return. Of course, this being Steely Dan, we can also infer that the song isn’t so much about the events of that particular day, so much is it is about human greed in any era, and the tenuous illusion of a free market too. The song is one of the group’s best known hits, although only reaching #37 on the Billboard 100 at the time. During this aforementioned phase in the timeline of the band, Steely Dan had become two bands in the minds of fans. The first was the dual-guitar touring jazz rock combo. The other being Becker & Fagen as musical directors using sessioners to create a sound solely meant for studio albums. Nineteen Seventy-Five’s Katy Lied and 1976’s the Royal Scam were in-between albums, when Becker & Fagen began to strip away the “band-ness” of Steely Dan. The emphasis of gritty and dominant rock guitars on these albums would soon be replaced in favour of more pristine, jazzy textures that brought the horns and keyboards more to the forefront to supplement the still-sterling guitar-work for which the band is known. This approach would pay off nicely with a record which many would consider to be their masterpiece – 1977’s Aja. By the early 1990s and after a very long hiatus as a live act and recording entity, the Steely Dan name was again a going concern. That’s when they resumed as a touring unit. And luckily, they’d begun to marry their love of horn-and-keyboard smooth jazz with the edgy guitar rock of their pre-1976 incarnation. It gained them a Grammy with their then-new record Two Against Nature in 2000. For more information, check out steelydan.com. Hey i am a big fan of Steely Dan, but Mr Walter Becker has a new album called Circus Money, What a great album it is, just had to share that with all the Steely Dan Fans. At some point, the ‘Dan ceased being a band in the traditional sense. They became a studio entity. As such, apart from Becker and Fagen, there was no band to be a part of. Everyone was a hired gun, although with a number of recurring players. Still, they made their (arguably) best record under these conditions, although many of their detractors point out that when they made this switch, their music lost a lot of it’s ‘rock’ feel, and became more jazz-lite. For me, the contrast between the slickness, the underlying bitterness in the lyrics, and Fagen’s weird voice, is what helps those records retain their feel, and saves them from Yacht Rock hell.